The leaves and buds of this evergreen Chinese tree are the source of the favorite beverage, tea. If left unpruned, a mature tree can reach a substantial size and typically has an upright habit and spreading crown. 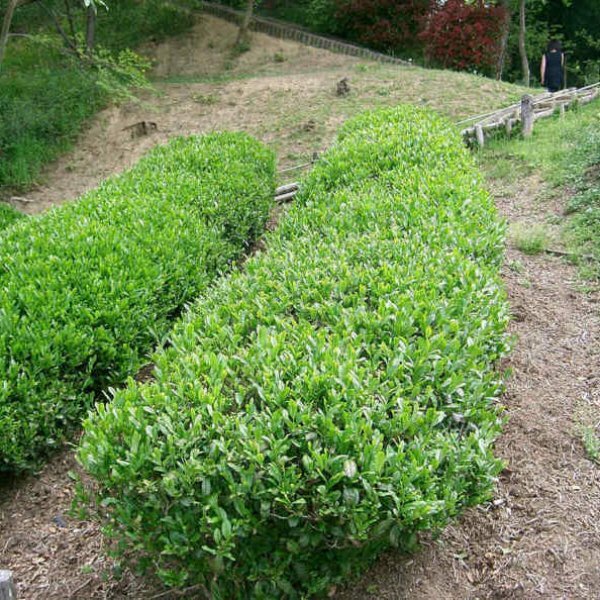 When grown for tea production, tea trees are severely pruned on a regular basis to keep them short and shrubby for easy harvest and heavier leaf production. 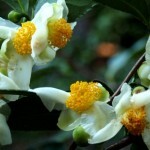 Tea trees have dark green, oval leaves that are leathery, glossy and have tiny teeth on the edges. Their central rib, or vein, is light yellow-green. 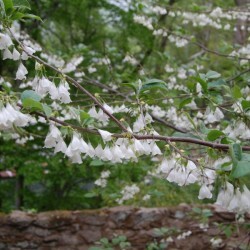 In autumn, fragrant white flowers appear among the foliage and continue to bloom into winter. These have a mass of lovely golden yellow stamens at their centers. The young branches are reddish brown with gray striations, and the mature bark is smooth and grayish tan. Germination 1. Place the seeds in a deep bowl. Boil water in a pan, then remove it from the heat. Pour the just-boiled water over the seeds. Soak them for 24 hours to soften the outer hull. <br /> 2. Sow the seeds in individual 4-inch greenhouse pots filled with a mix of one-half potting soil and one-half perlite or vermiculite. Sow the seeds at a depth of 1 inch. Make sure the pale spot, or eye, on the end of the seed is positioned horizontally.<br /> 3. Set the potted seeds inside a shaded cold frame on a germination mat. Set the temperature on the germination mat to between 70 and 75 degrees Fahrenheit. Do not lower the temperature at night. Drape a sheet of plastic wrap over the pots to hold the warmth around the seeds.<br /> 4. Keep the growing medium moderately moist. Allow the top 1/2 inch to dry out before adding more water to prevent rot. Add water until it begins to trickle from the base of the pot.<br /> 5. Look for signs of germination in 60 days. Remove the plastic wrap after sprouts emerge, but keep the germination mat in place for another two weeks to encourage fast growth.<br /> 6. Transplant the seedlings into 8-inch pots filled with potting soil once they produce two sets of mature leaves, or four leaves total. Move the pots to a sheltered area under very light shade with morning and late afternoon sun.<br /> 7. Grow the plants under light shade for two to three months, or once they grow to 1 foot in height. Provide an inch of water weekly. Acclimate the shrubs to direct sun over the course of seven to 10 days in early autumn.<br /> 8. Transplant the plants into a permanent bed with acidic, consistently moist soil in the fall after the first rain. Space them at least 15 feet apart. 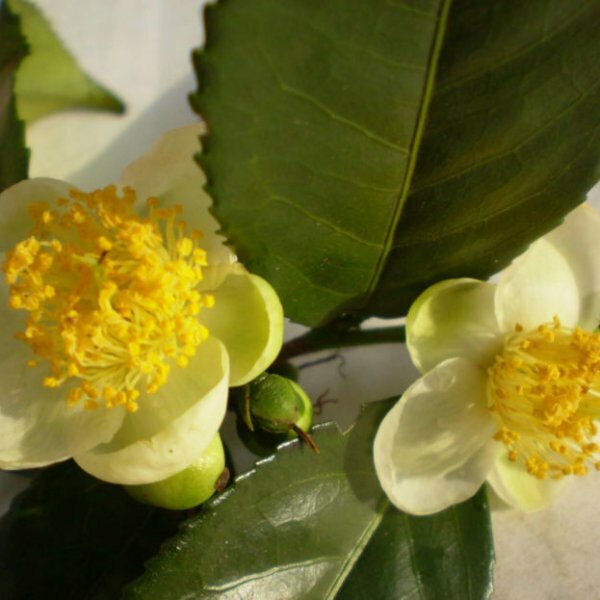 Provide light shade during the shrub's first summer in the ground to prevent stress.